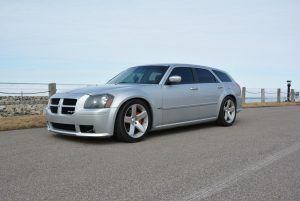 This Magnum is fully loaded with all of the features that you would expect from the SRT brand. This Magnum has 104k miles on it, but the engine has only 52k miles on it, and the trans is rebuilt with less than 5k miles on it! This is your chance to save thousands on a clean title SRT Magnum! We purchased this Magnum with mechanical damage to the engine. 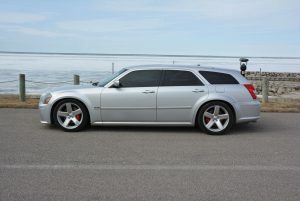 We purchased a donor 300C SRT-8 for a replacement engine. The donor engine had 52k miles on it. 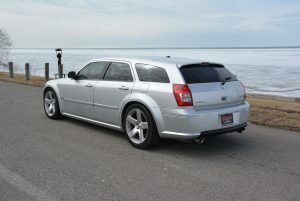 We have also installed a recently rebuilt transmission with less than 5k miles in this Magnum. 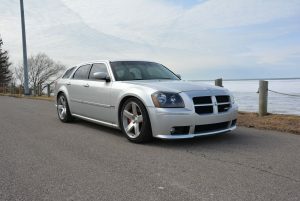 We have put over 500 enjoyable miles on this vehicle since the engine/trans swap. In addition to the already awesome standard features on this car, it has also been fitted with an aftermarket Corsa exhaust and Eibach lowering springs with Sensen front struts. 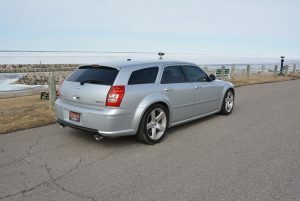 This 2006 Dodge Magnum SRT-8 features the awesome 6.1L HEMI which produces 425HP and 420ft-lbs of torque! Mated to the 6.1, putting the power to the wheels, is the stout W5A580 5-speed automatic transmission. 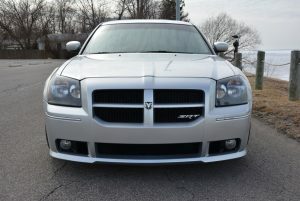 This SRT-8 model Magnum is optioned out with all of the performance and luxury components that you expect from the SRT brand. All four corners of the car feature Brembo brakes. 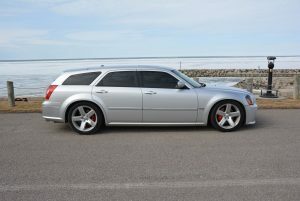 The interior of the car features full power black leather and suede seats, sunroof, navigation unit, hands free calling, kicker speakers, and much more. 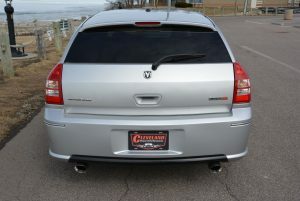 This Magnum is painted “Bright Silver Metallic Clearcoat” in color. The paint shows some marks throughout but is in overall good condition. Please look at all of the pictures to see the condition.